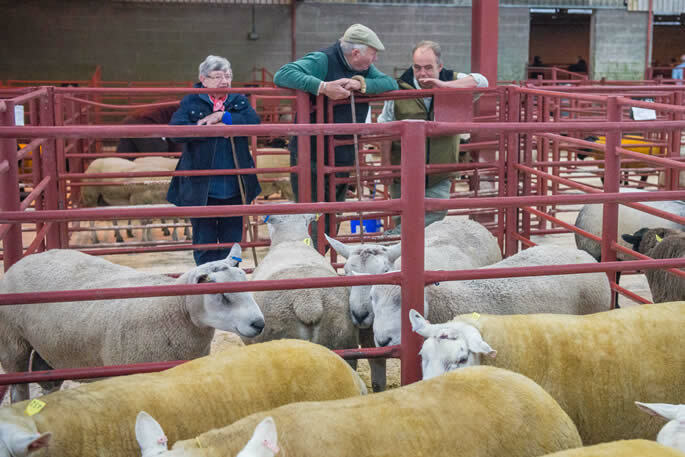 The Great Annual Ram fair of 957 rams of all breeds was held in Longtown on Wednesday 4th October 2017, with one of the best show of commercial rams seen anywhere this season. 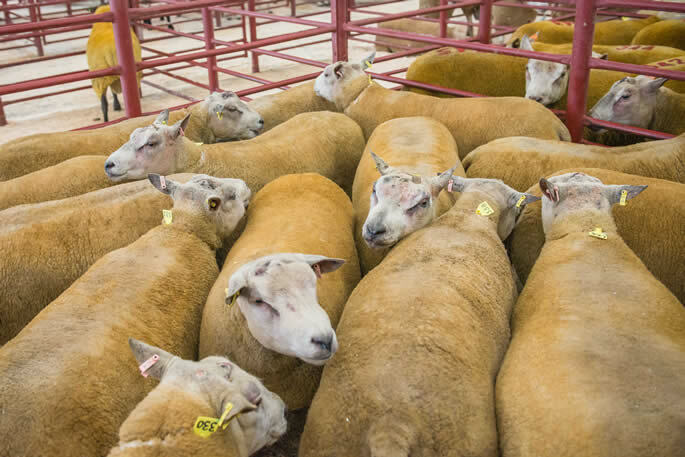 With the best quality rams making a tremendous trade, vendors would go home satisfied. 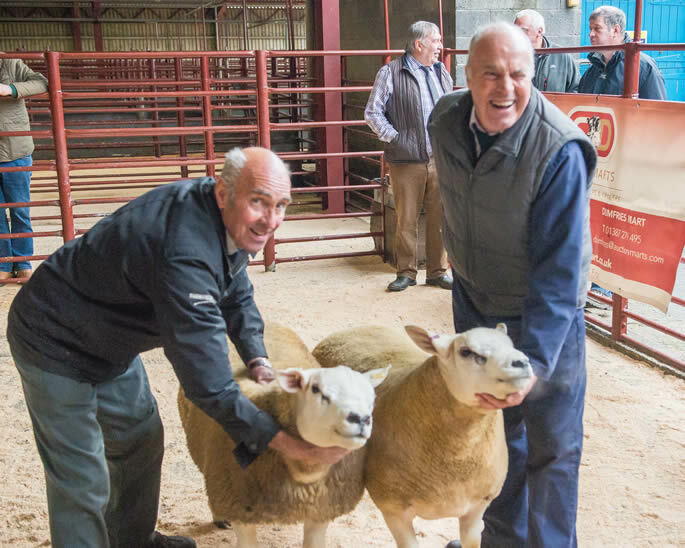 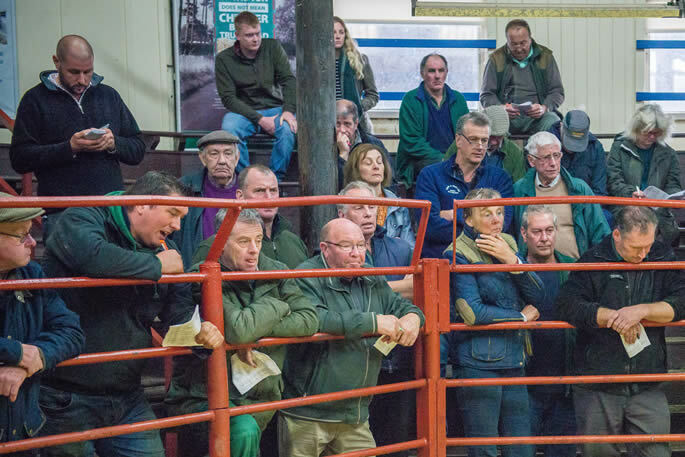 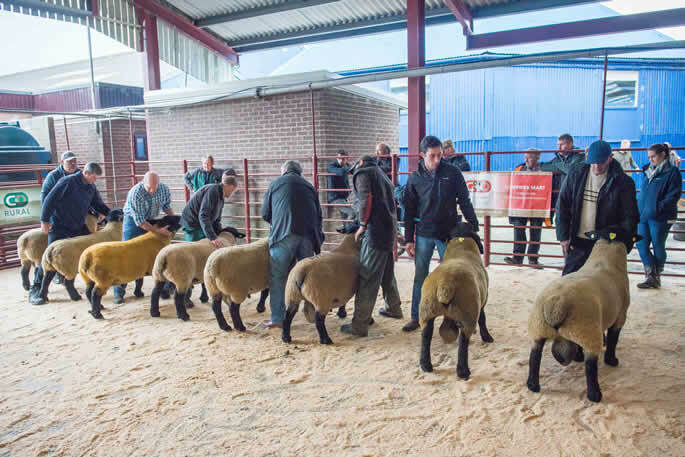 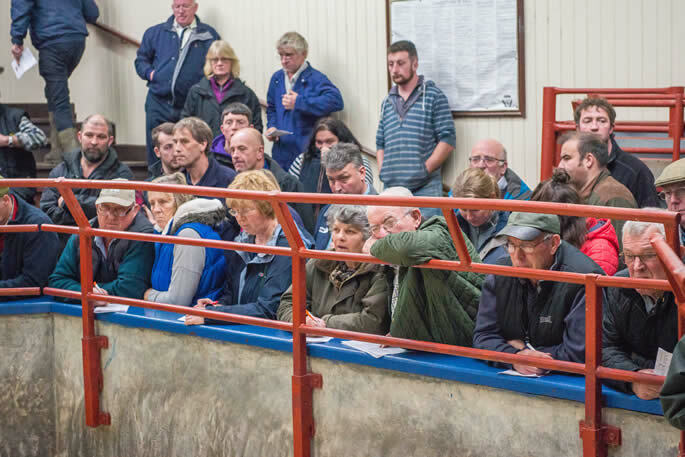 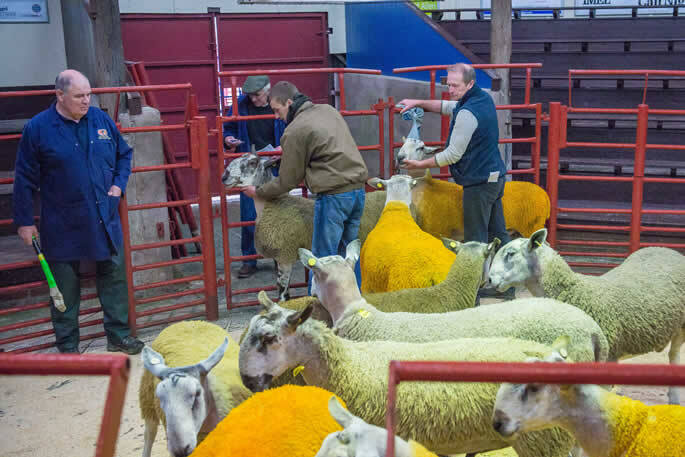 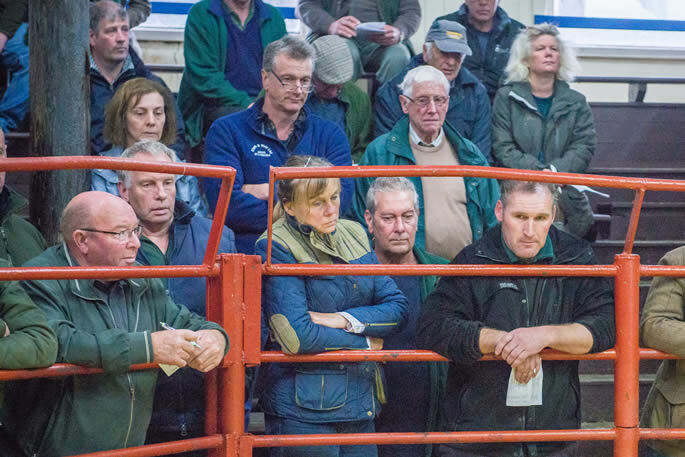 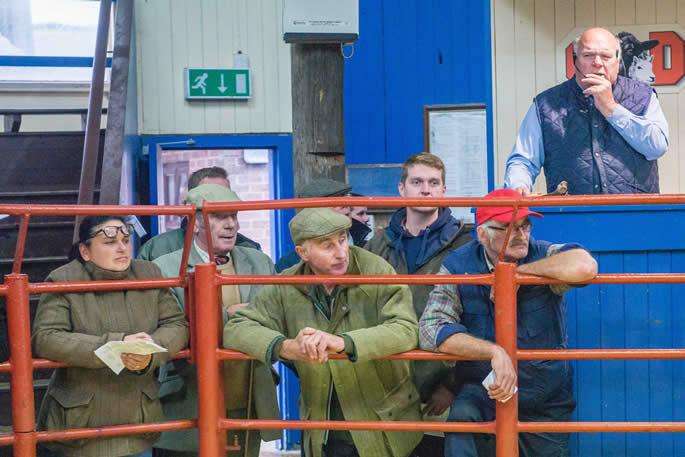 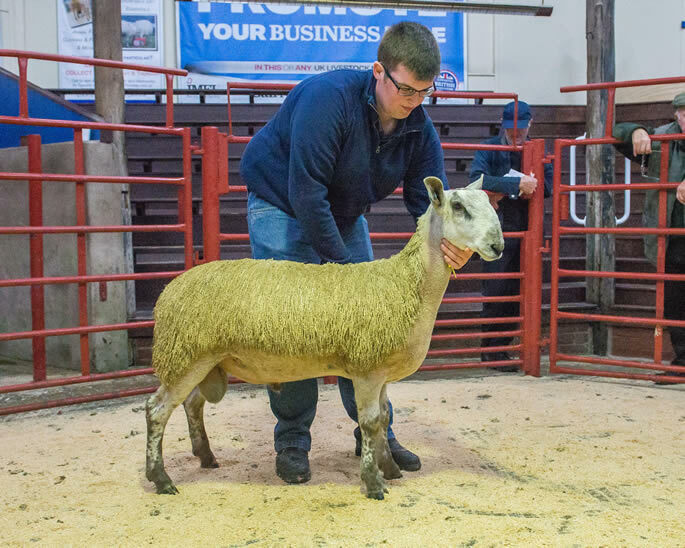 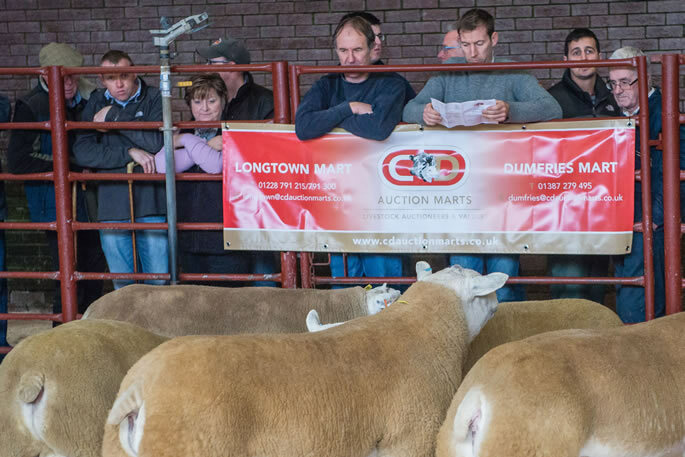 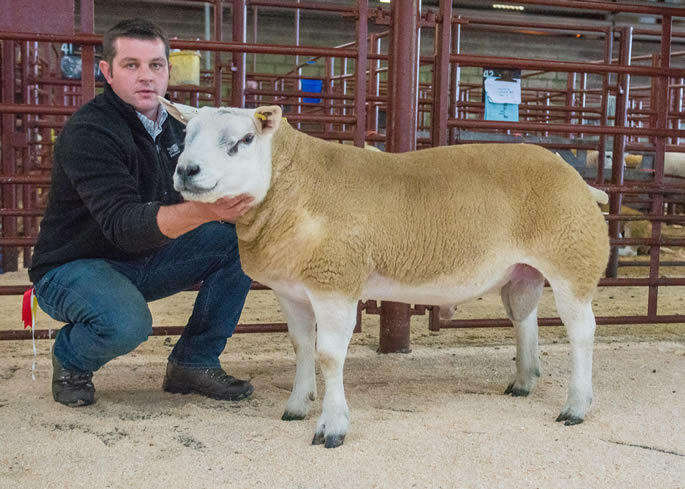 The sale topped at £1,500 for an outstanding Texel shearling form Messrs Martindale, Lands selling to local farmers and Longtown Mart supporters, Messrs G Mitchinson, High Greenhill. 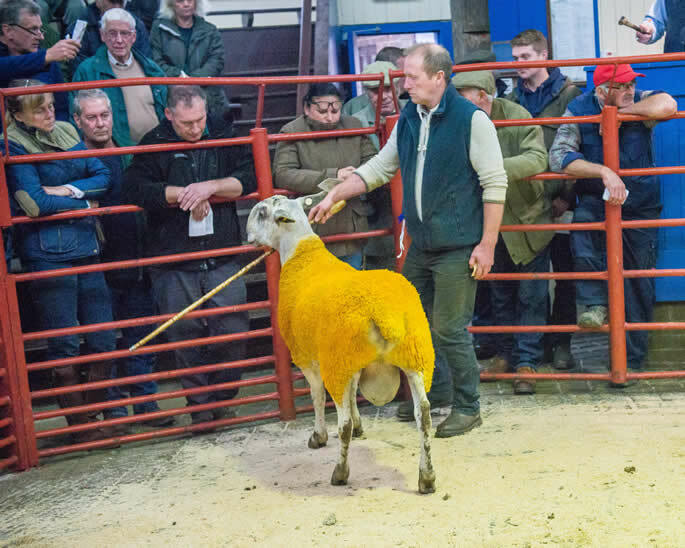 This was closely followed at £1,300 again for a Texel shearling from G Cakebread, Commonside selling to Messrs Davidson, Mill View, Otterburn. 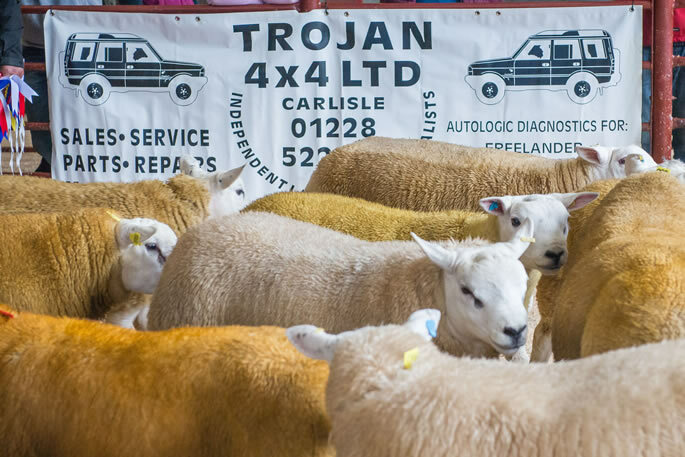 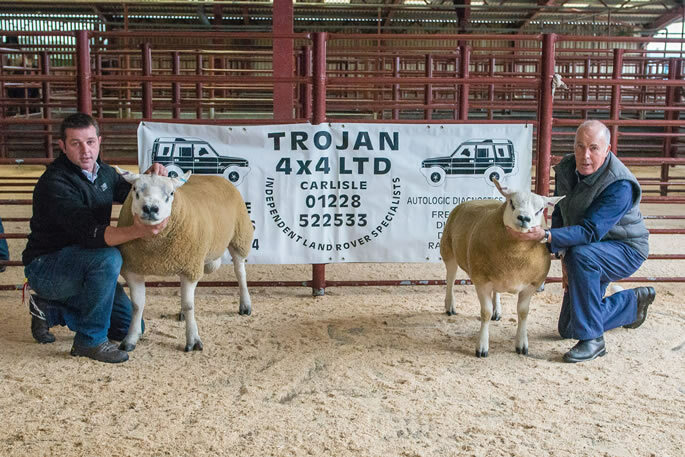 Included today was the Annual Show and Sale of 385 Texel rams and ram lambs, kindly sponsored by Trojan 4x4 and ably judged by Mr Neil Hamilton, Earlside, Hawick, who awarded his Championship to the first prize shearling, out of a class of 22 rams, to Mr Cakebread, Commonside, which realised £800 selling to Messrs Lewis, Bryn-y-groes, Wales. 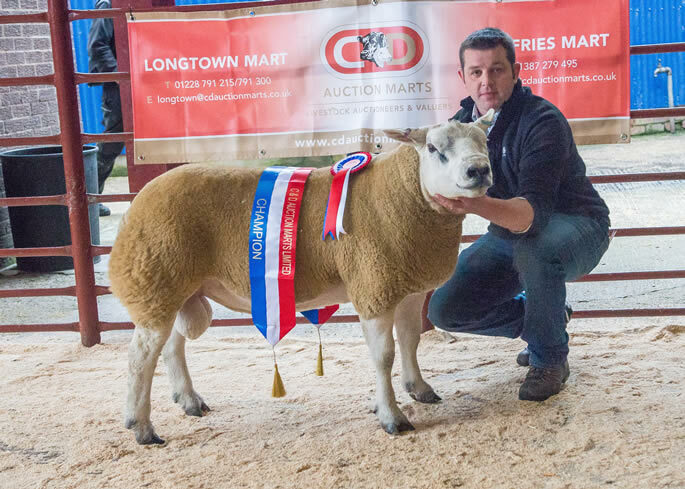 The Reserve Champion went to the ram lamb from regular consignor Messrs Tough, Easterseat, Carluke which went on to realise £580 finding a new home with the judge at Messrs Hamilton’s, Earlside, Hawick. 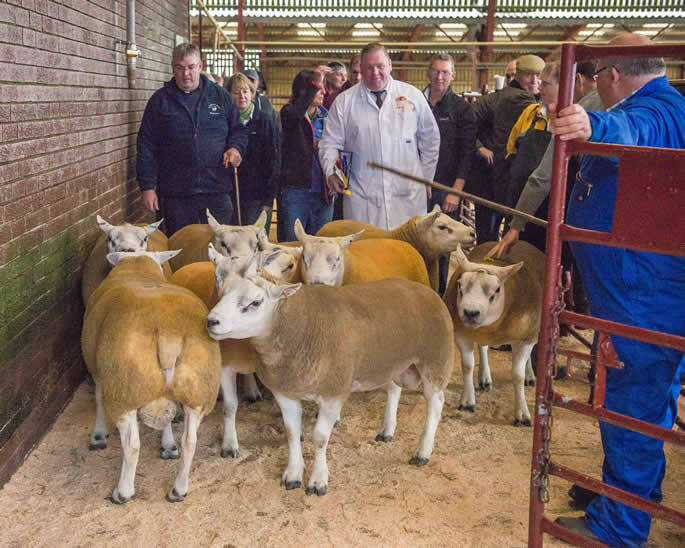 1st Prize & Champion – G Cakebread, Commonside, £800 to RE & SM Lewis, Wales. 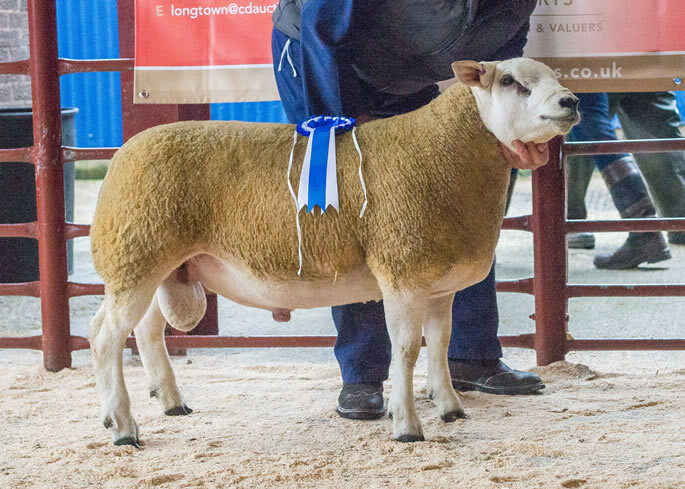 2nd Prize– Messrs Douglas, Catslackburn, £480 to Hornby Hall, Penrith. 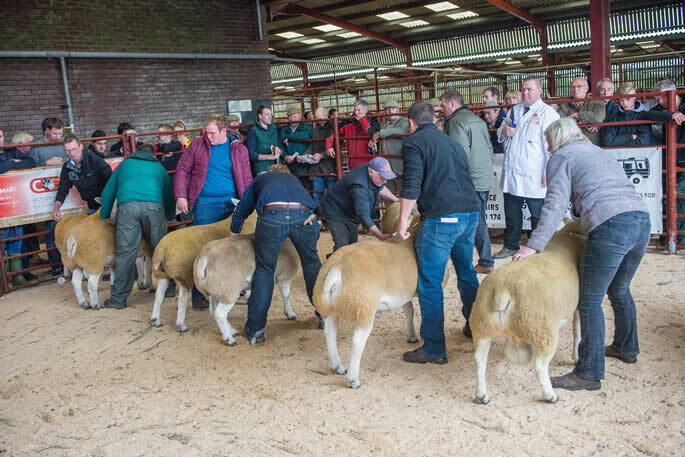 3rd Prize – G Cakebread, Commonside, £1,300 to Messrs Davidson, Mill View. 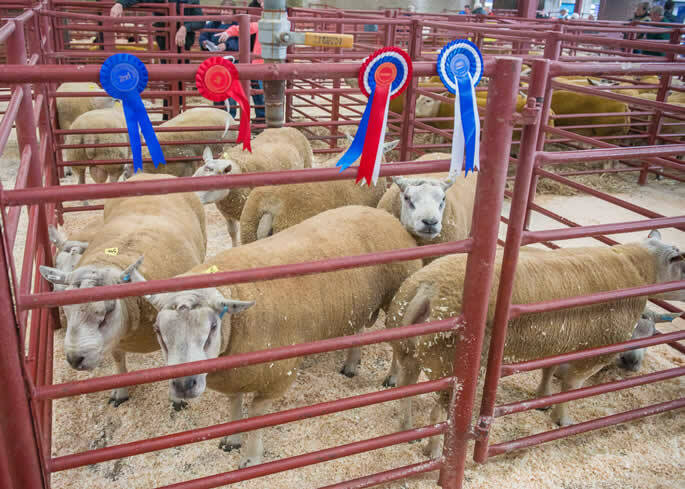 1st Prize & Reserve – J & M Tough, Easterseat, £800 to Messrs Hamilton, Earlside. 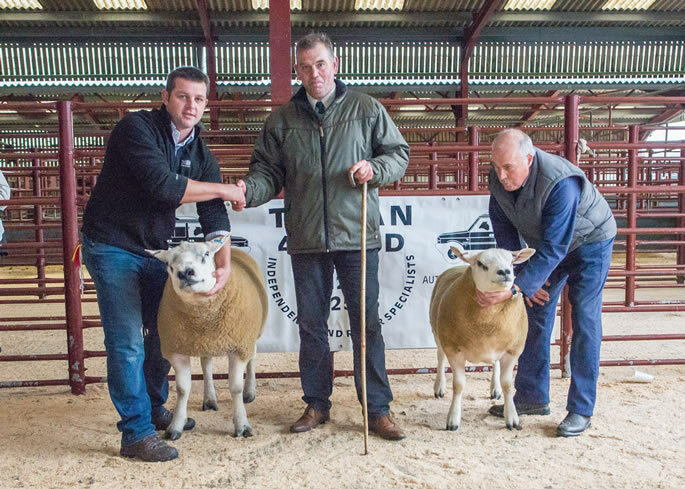 3rd Prize – Blaylock & Sim, Hallburn, £300 to H & B Farms. 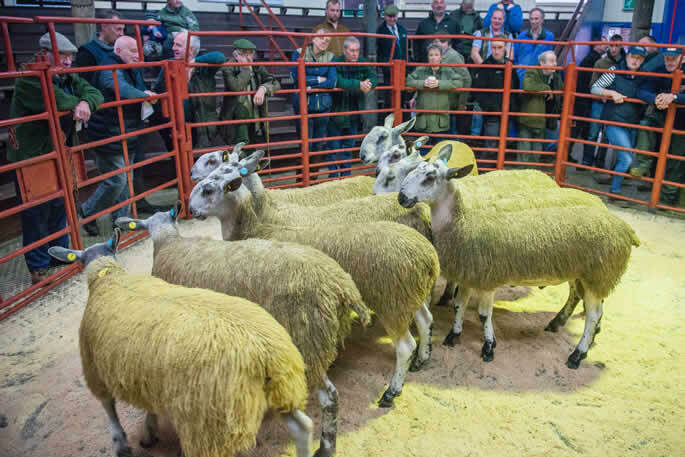 Shearlings - £1,500 The Land, £1,300, £800 Commonside, £800, £780 Duke Street, £780, £750 Acreknowe, £700 Duke Street, £650 Acreknowe, £620 (x2) Crumhaughhill, £620 Kinninghall, £580 Chesters Place & Kinninghall, £550 Commonside, £520 Duke Street & Crumhaughhill, £500 Parkhouse. 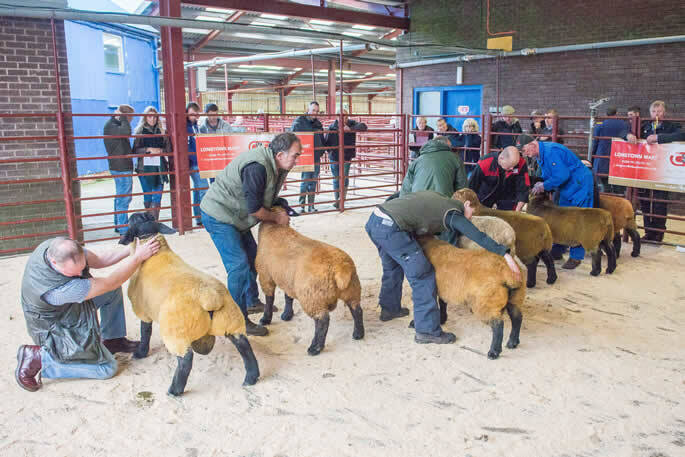 Ram lambs - £920, £620, £580 Kirkton, £580 Easterseat, £520 Auchenbart, £500 (x3), £420 Easterseat, £420 Auchenbart, £400 Easterseat, Townhead, Four o Boot, Dearham Hall and Smyllum. 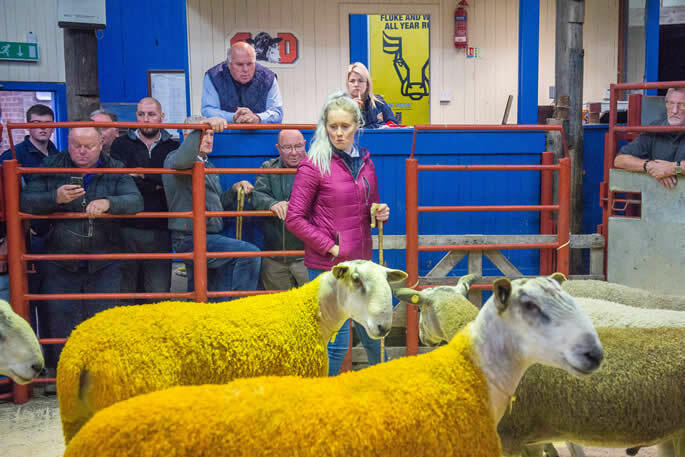 Aged - £550 D’Mainholm, £520 Kirkton, £480, £380 D’Mainholm. 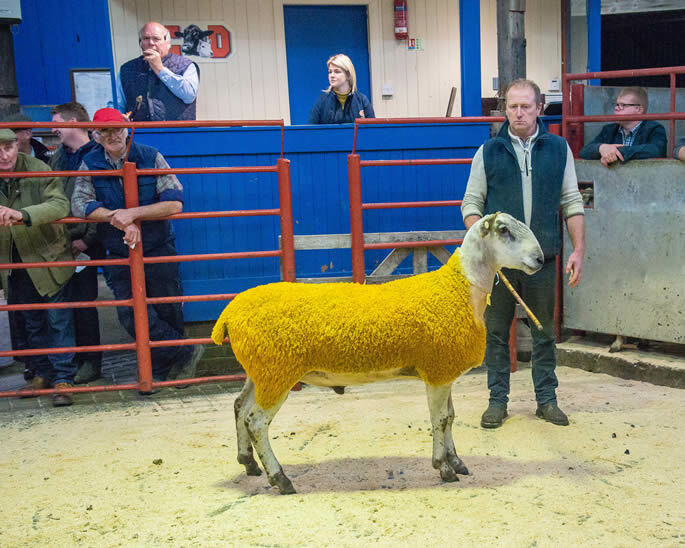 Also included was the Annual Show and Sale of 151 Suffolk rams and ram lambs, ably judged by Mr R Walton, Darlington who awarded the Championship to a shearling ram from Messrs Sisson, Fenton, which realised £300 selling to the judge. 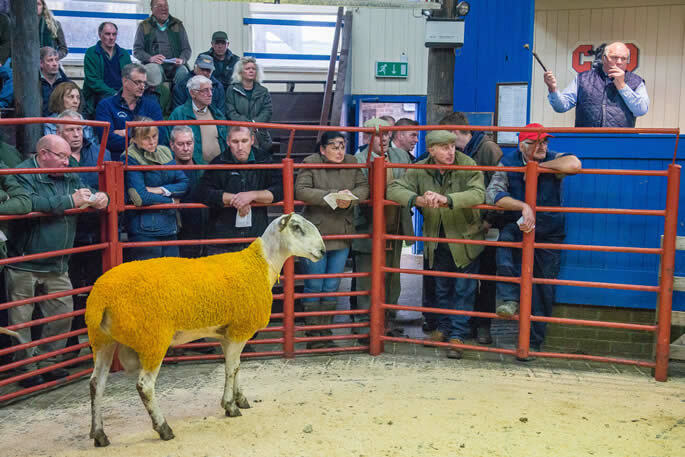 The Reserve went to the ram lamb from Messrs Hewson, Burgh Head, which made £280 to Messrs Pringle, Caverslea, Hawick. 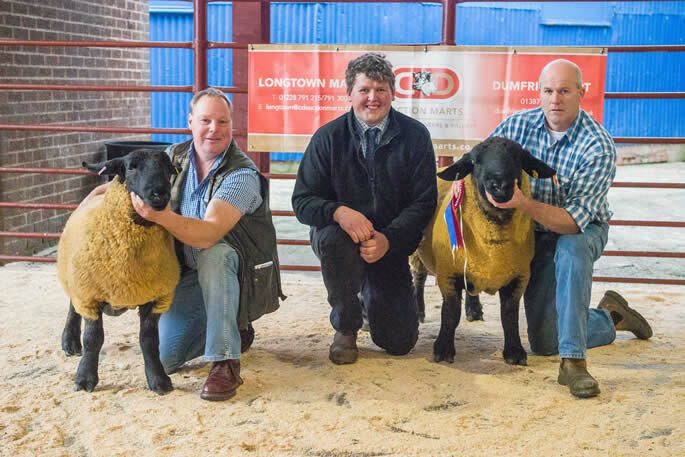 1st Prize & Champion – Messrs Sisson, Fenton, £300 to R Walton, Darlington. 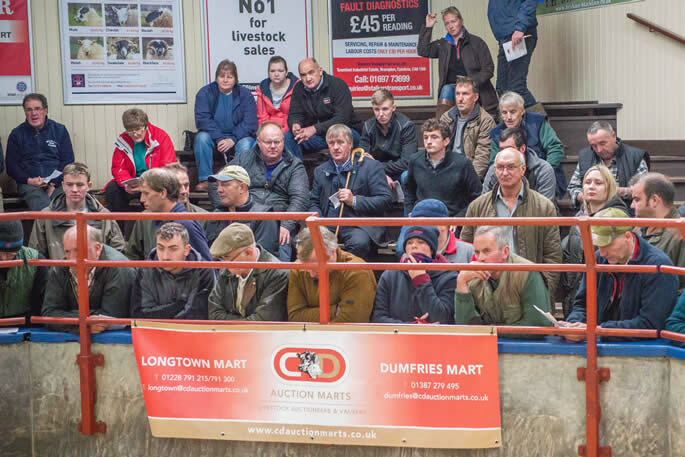 2nd Prize– Messrs Young, Flex, £500 to R Walton, Darlington. 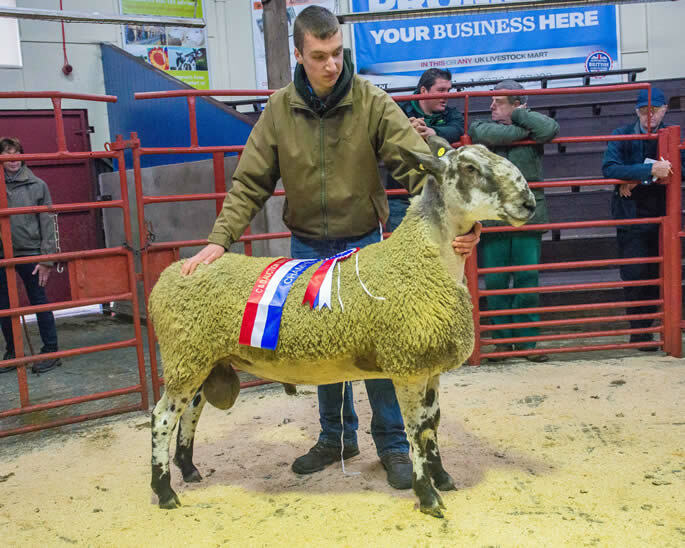 3rd Prize – WJ & JG Bell, Kinninghall, £420 to R Walton, Darlington. 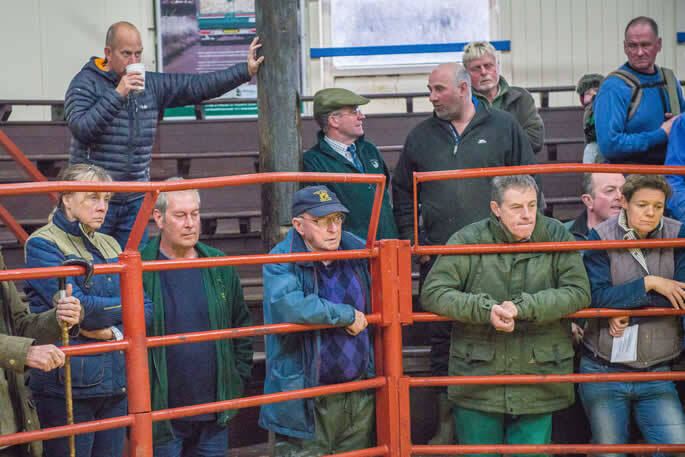 1st Prize & Reserve – Messrs Hewson, Burgh Head, £280 to Messrs Pringle, Caverslea. 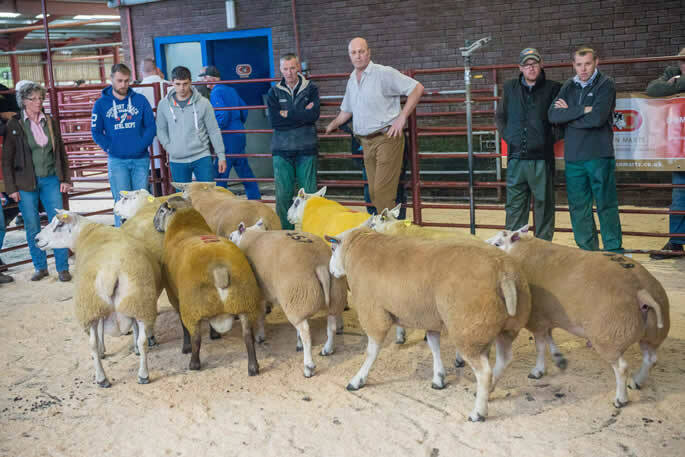 2nd Prize – Messrs Lundy, Mid Upper Priestside, £300 to Messrs Ridsdale, Yewtree. 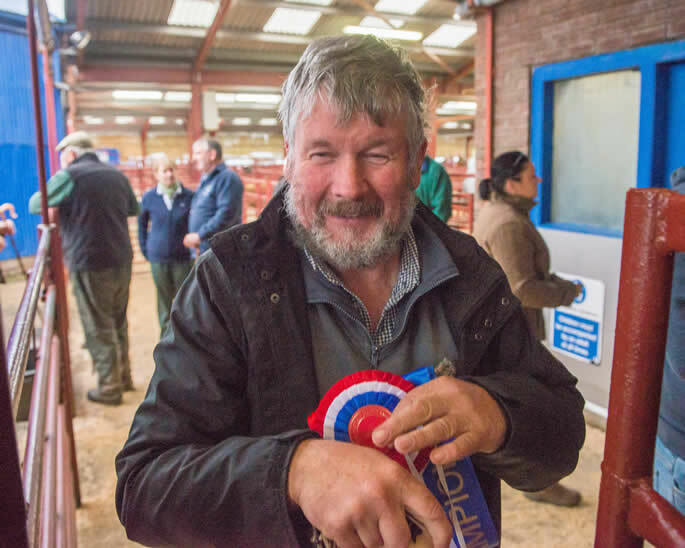 3rd Prize – Messrs Denby, Riddings Hill. 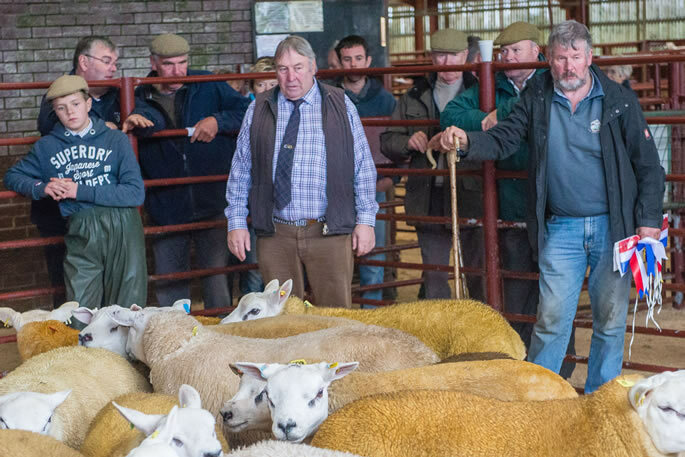 Shearlings - £500, £450 Flex, £480, £450 Guardsmill, £450 North House, £450, £420 Kinninghall, £400 Guards, North House, The Land, Kinninghall, Fowrass, Symington Mains. 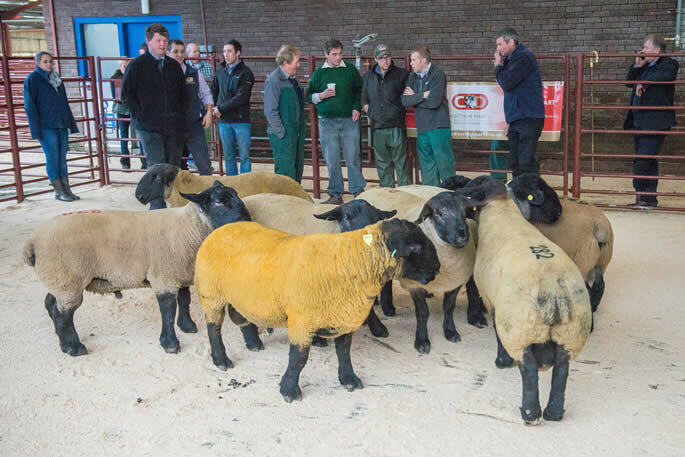 Ram lambs - £350, £300, £280 The Land, £300 Mid Upper Priestside, £280, £250 Burgh Head. 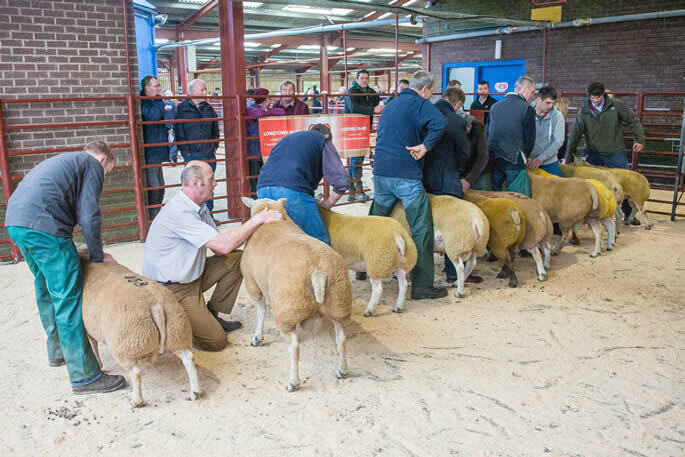 Crossbred rams also had the chance to show today and were again ably judged by Mr Walton, Darlington, who awarded the Championship to Messrs Reid, Grassmainston, which realised £550 to Messrs Jackson, Reagill Grange and the Reserve went to the same home. 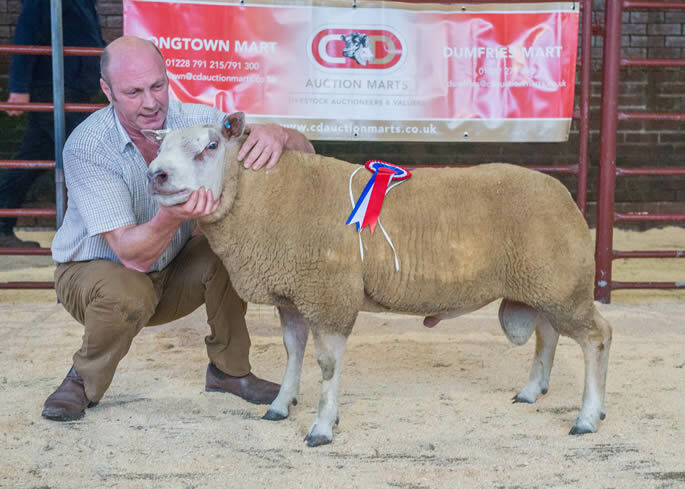 1st Prize & Champion – Messrs Reid, Grassmainston, £580 to Messrs Jackson, Reagill Grange. 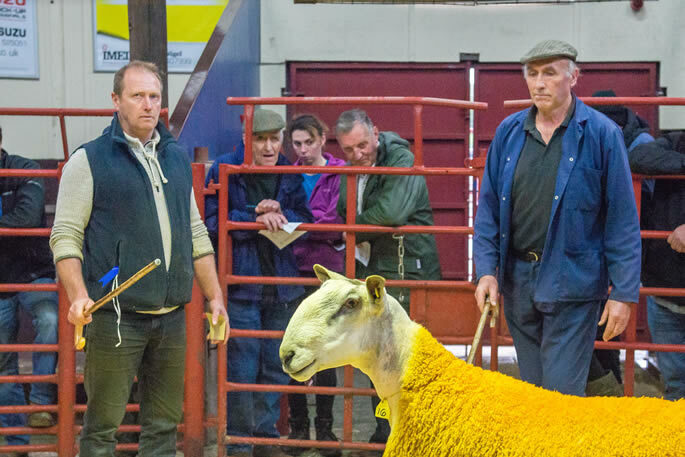 3rd Prize – Messrs Edminson, Middle Farm, £620 to Messrs Vevers, High Stenries. 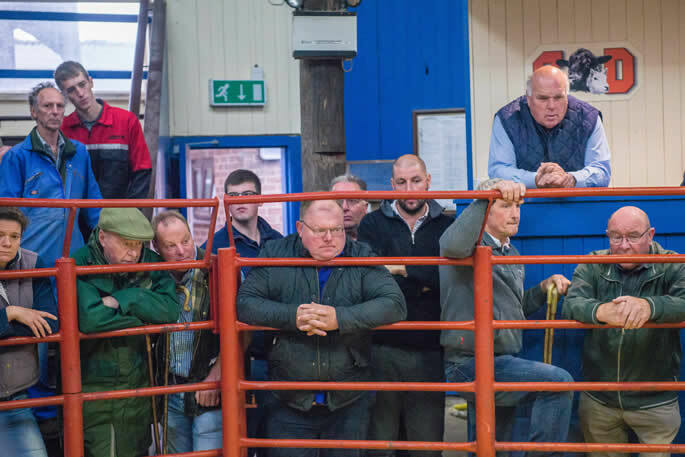 4th Prize - Messrs Edminson, Middle Farm, £550 to Messrs Jackson, Reagill Grange. 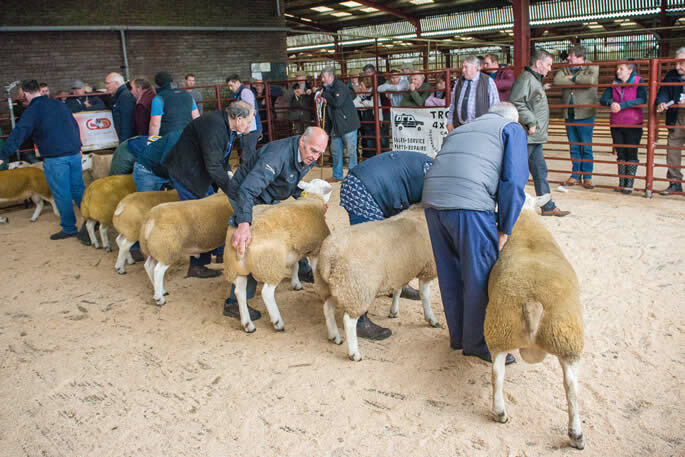 Texel x Beltex Shearlings - £620, £600, £550 (x2), £500 (x3), £480, £450 Middle Farm, £480, £450, £420 Toftcombs, £400 Park Nook and Middle Farm. 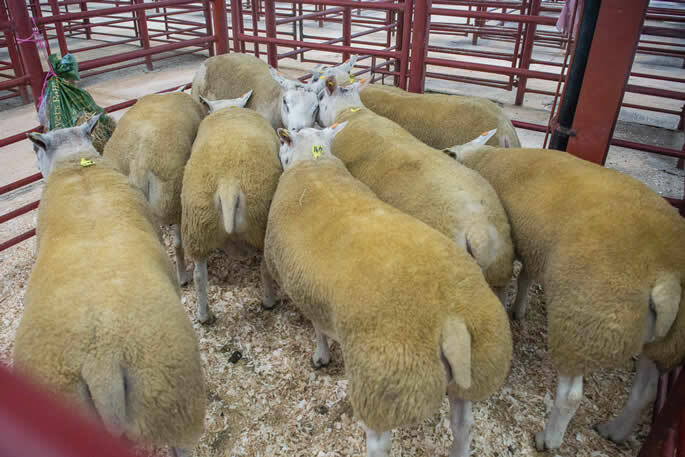 Rouge Shearlings – £580, £550 (x2), £500 Grassmainston. 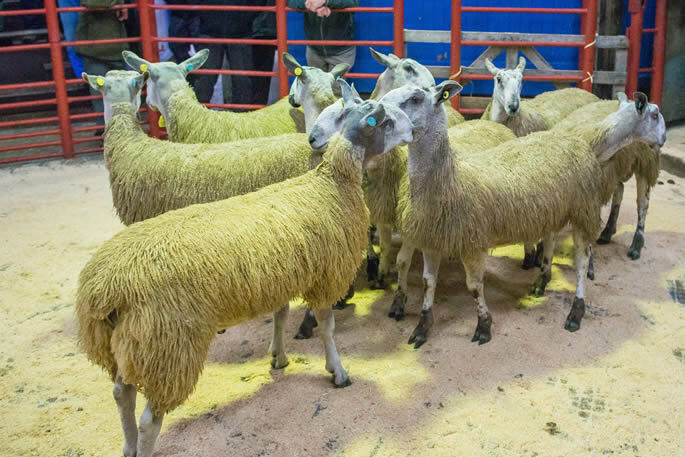 Beltex Shearlings - £550, £480 Rue Castle, £500 Flex, £450 Corstane & Carnavel, £400 Waterside & Newton Cottage. 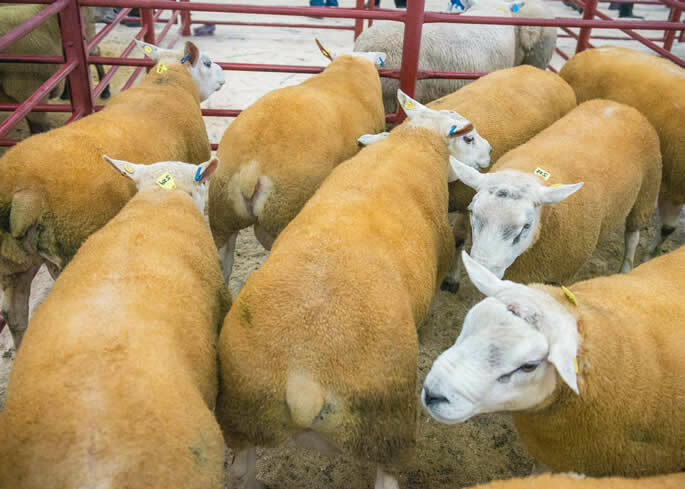 Charollais Shearlings - £400, £380, £350, £320, £300 Hunderlee, £320, £280 Wester Parkgate, £280, £250 (x2) Thackwood. 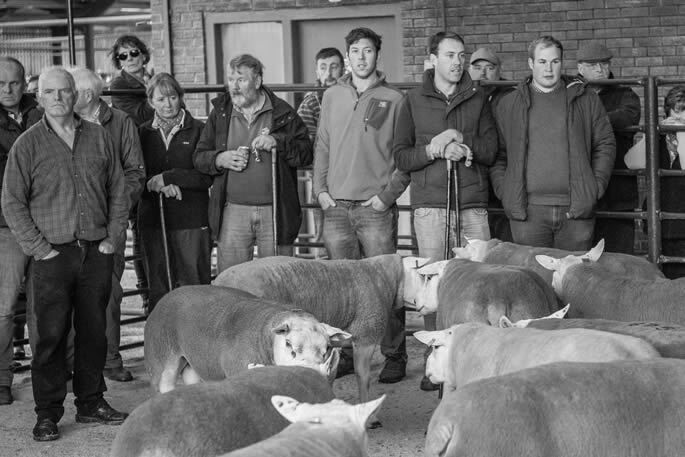 Texel x Blueface Leicester Shearlings - £360, £340 The Coppers. 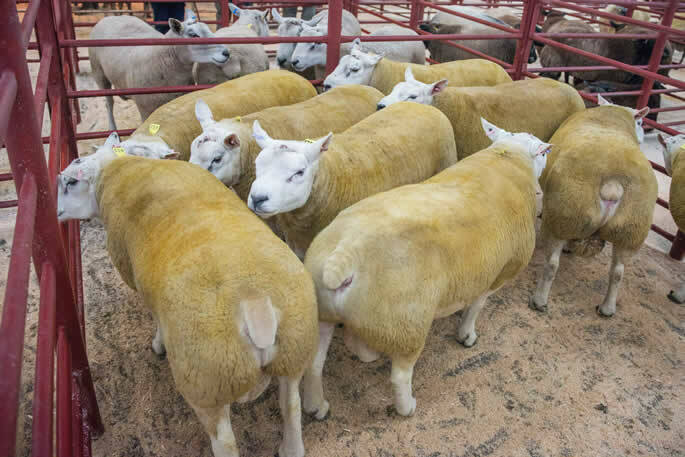 Charollais x Beltex Shearlings - £300 (x5), £280 (x4) Upper Auchenlay, £280 Thackwood. 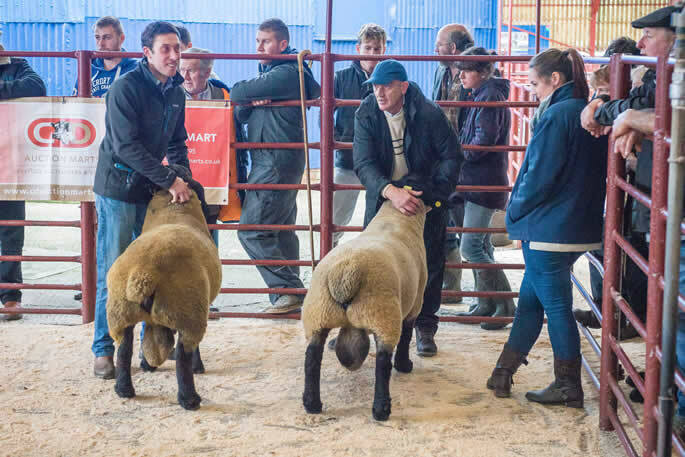 Suffolk x Texel Shearlings - £300 Allanshaws. 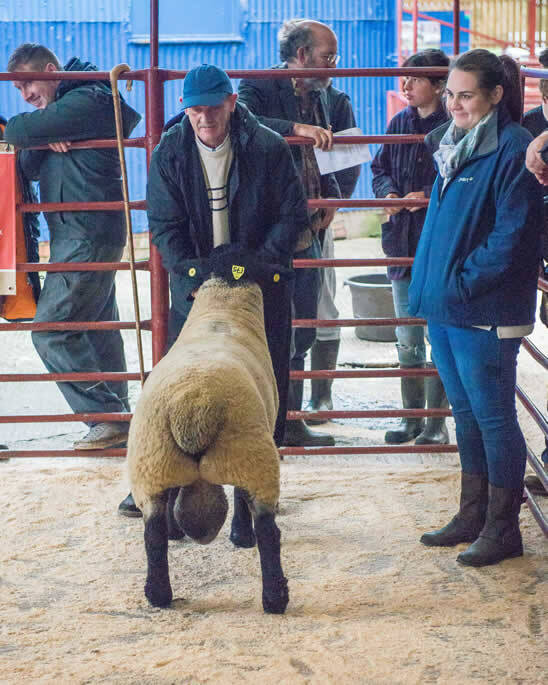 Suffolk x Beltex Shearlings - £300 Maidencots. 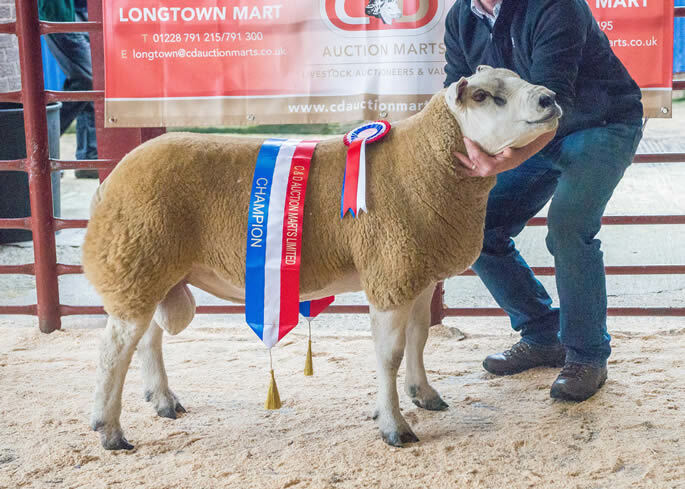 Charollais x Suffolk Shearlings - £260 Lyonpark. 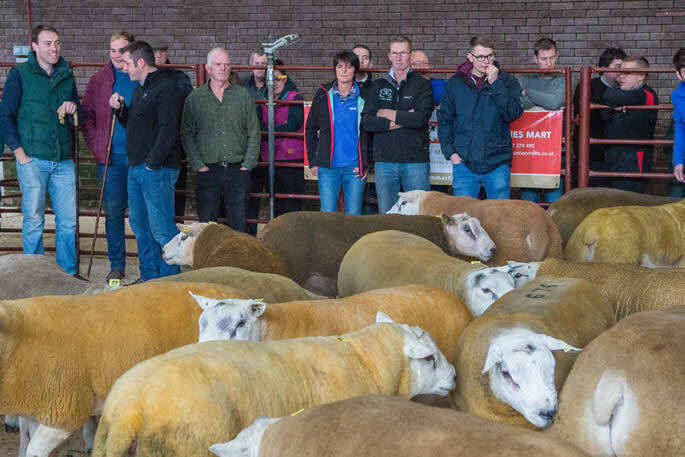 Dutch Texel - £260 Townhead, £200 Fowrass & Glasson. 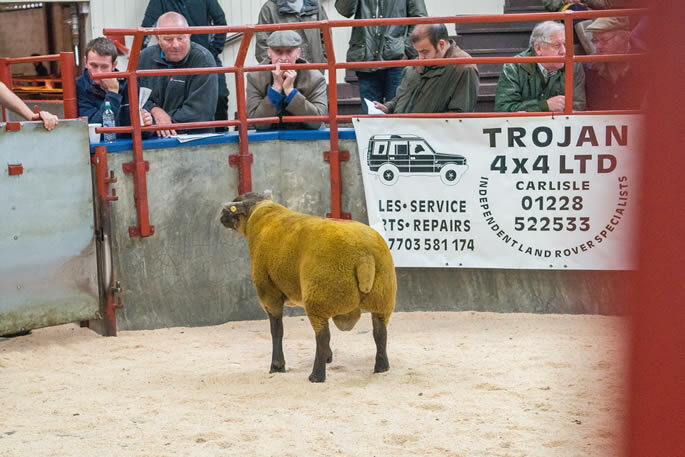 Berrichon - £250, £220, £200 Springwood Lodge. 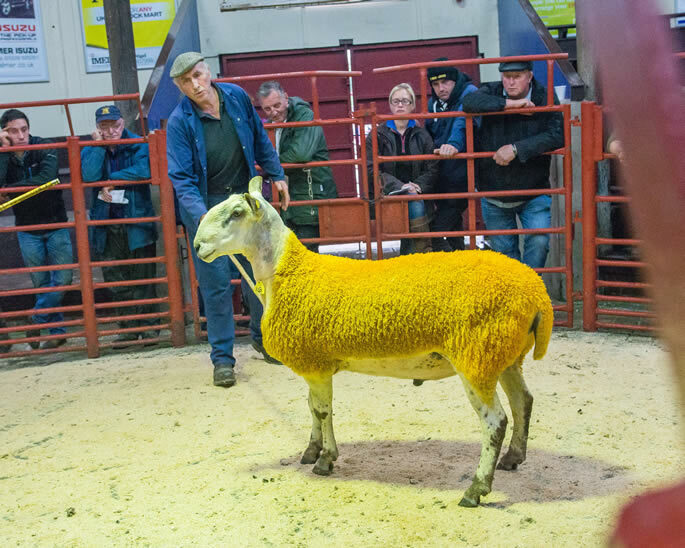 Millenium Blue - £200 Ghyll Croft. 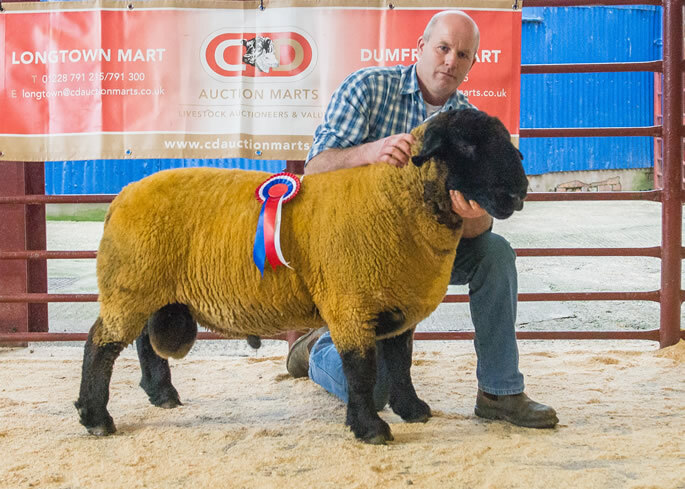 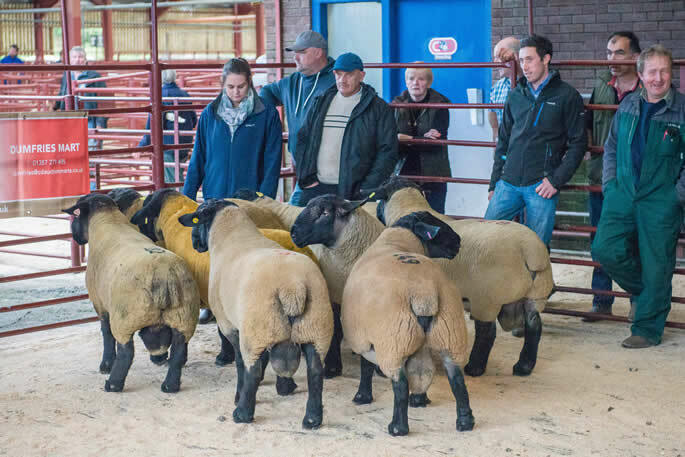 C&D Auction Marts Ltd had forward an entry of 134 Bluefaced Leicester Rams and Ram Lambs at their Annual Show and Sale at Longtown on Wednesday 1th October. 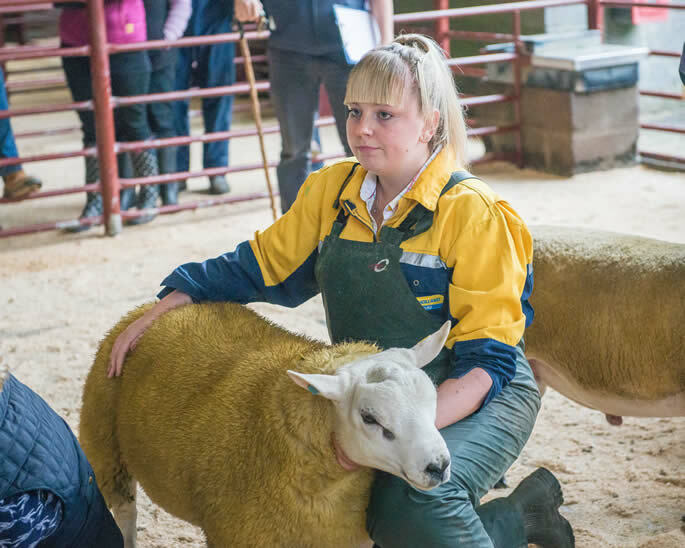 Judging this year was in the capable hands of Miss Zoe Hall, Horlsey Hill, Hawick who did an excellent job. 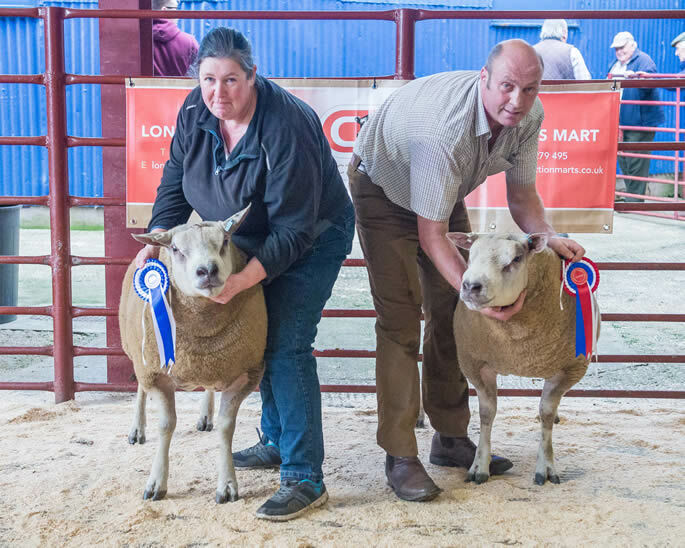 Her awards were as follows: 1st prize shearling ram and Overall Champion and also receiving the G. Carter & Son Silver Challenge Trophy went to Messrs Nicholson, Old Police House, Roadhead, Carlisle and 2nd prize to Mr M J Dixon, The Stobbs, Rochester. 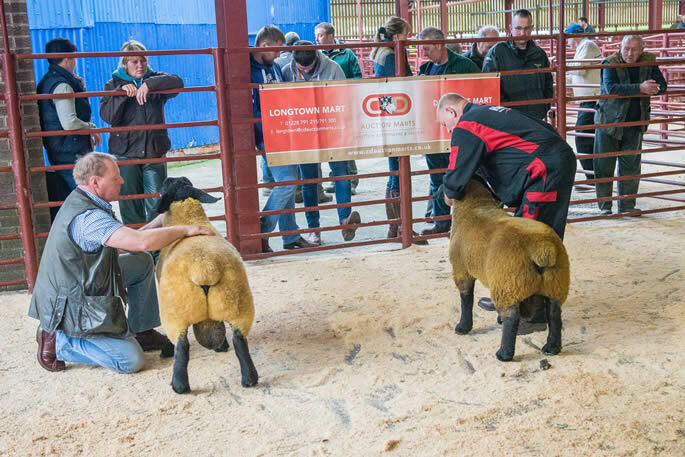 1st prize ram lamb who also received the Robert Telford Memorial Trophy came from Mr P Hammond, Auchenbart, Darvel with 2nd prize also from Mr P Hammond. 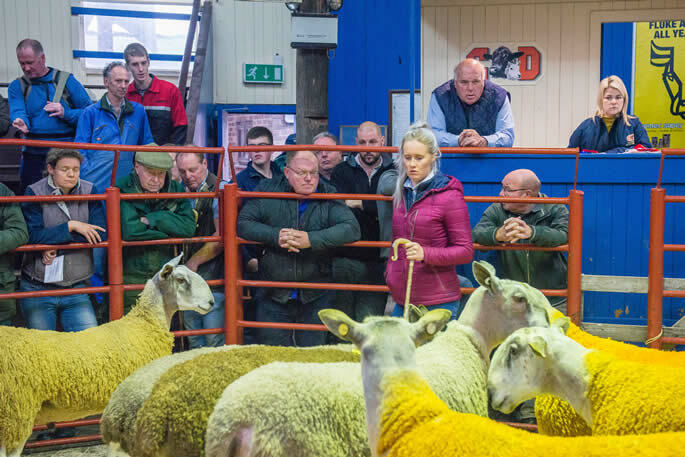 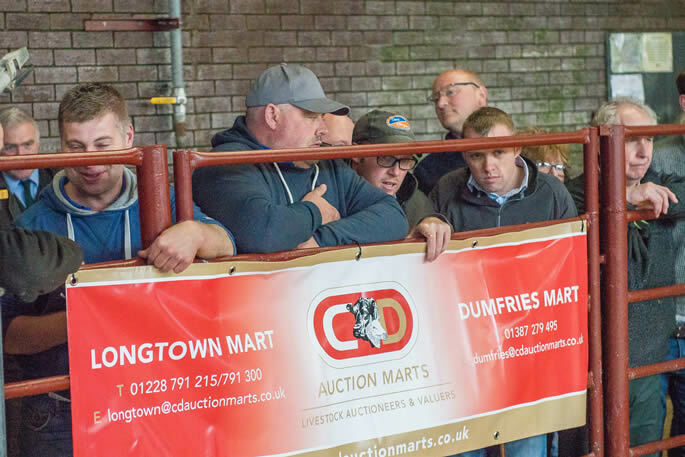 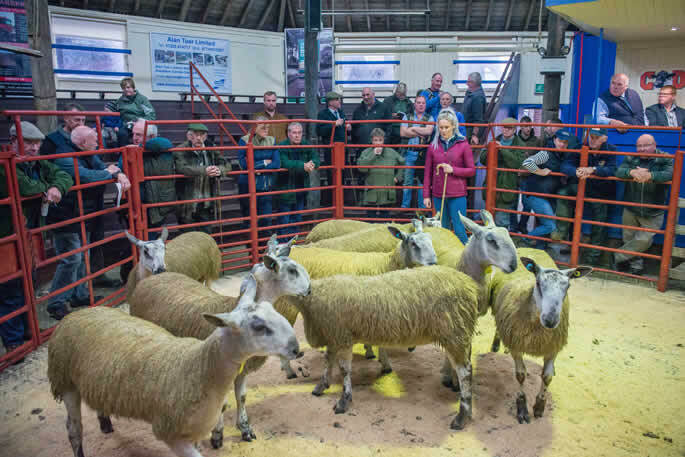 Trade in general for the best shearlings was very strong selling to a top of £680 from Messrs W C Anderson & Son, Parkhill, Roberton, Hawick, who also sold others at £650 and £600 (x3), and had the top average of £525 for ten sold. 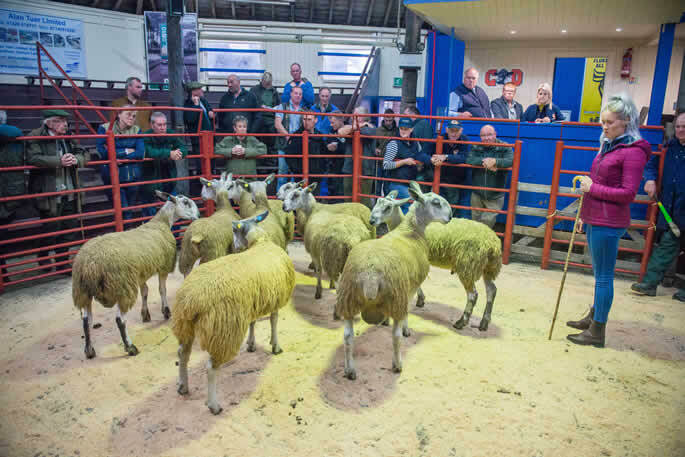 Other shearlings to £600 The Old Police House, £520 Tappit Lane, The Stobbs and Wanwood Hill, £480 Grassknop and £470 Easter Whitmuir. 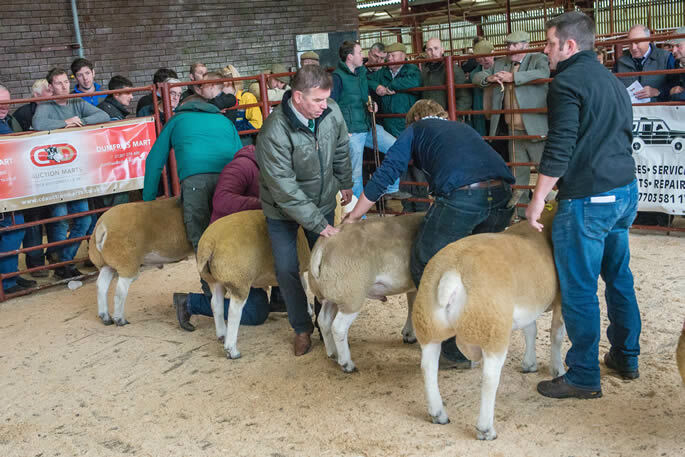 Ram lambs proved difficult to sell with a top of £240 from S Mitchell, Grassknop, Skelton, Penrith. 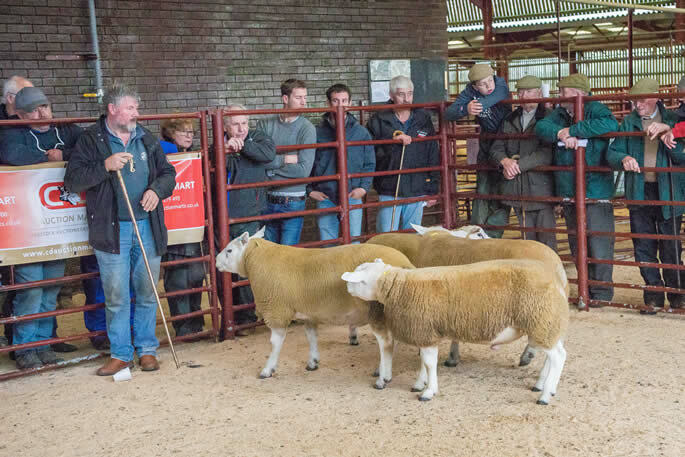 Older rams to £280 from D’Mainholm.